This will get you to the additional general settings. Enable this to keep your screen and device active when streaming or recording. Is default On. 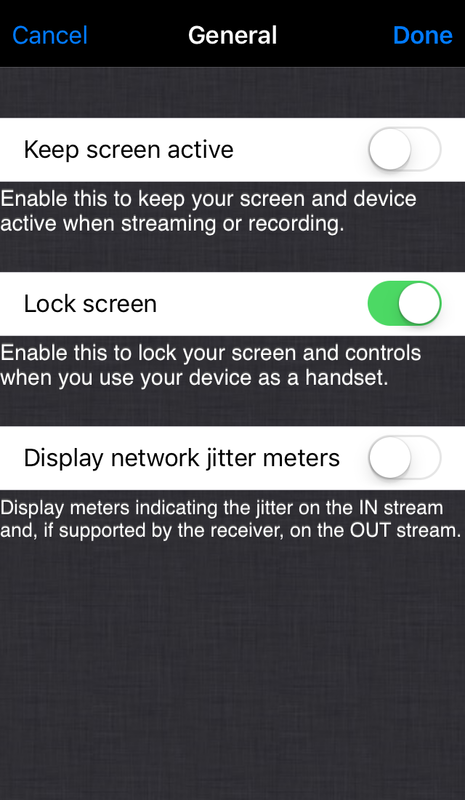 Enable this to lock your screen and controls when you use your device as a handset (hold it to your ear). The proximity detector of the device will be used to detect this. Display meters indicating the jitter on the IN stream and, if supported by the receiver, on the OUT stream.